Eleven year old Owen Thomas turned a few heads with an incredible 48 points as he carried off the prize as overall winner at the Ponteland Golf Club’s annual junior golf competition this week. With his handicap now down to 21 after his recent win, he is a regular player during the summer months at Ponteland where he has been a member since 2010. 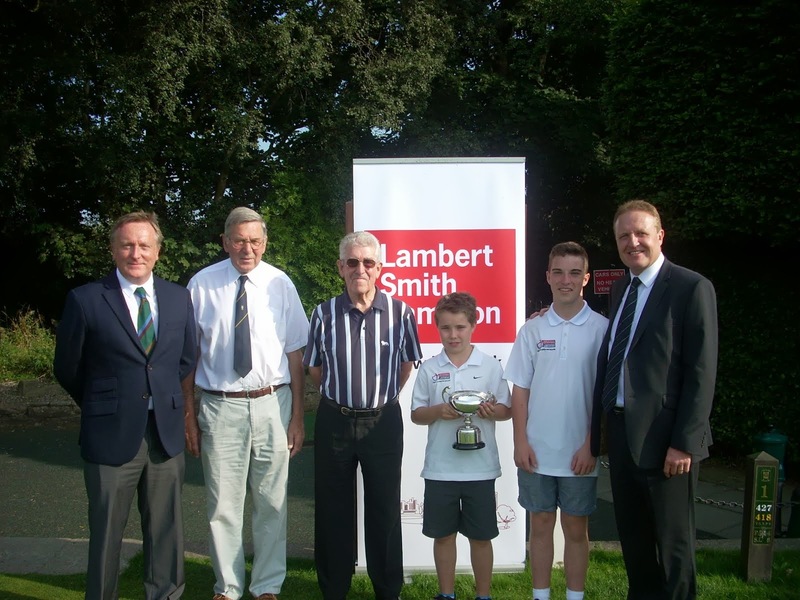 Sponsored for the fifth year running by the Newcastle office of Lambert Smith Hampton (LSH), a national commercial property consultancy, the competition had a strong turn out with 45 entries. Players had to be under 21 years of age to take part and this year, nine of the entrants were girls. 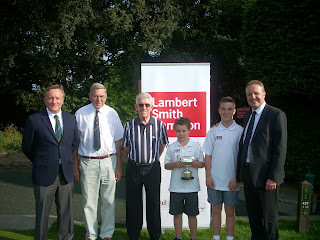 “My two sons have both come through Ponteland Juniors and it gives me great pleasure to be able to put something back into junior golf today, thanks to the generosity of Lambert Smith Hampton. “Playing golf is a great training ground for life – not just the camaraderie and the competition - but it is a way of meeting new people and when your swing is not so good, it teaches you to deal with life’s disappointments too. Other winners were Michael James from Ramside Hall who was runner up with 47 points and Marcus Grove from Tynemouth who won ‘best visitor’ category with 39 points. Best player for the 0-12 handicap was Andy White from Roxburgh with 39 points and in the 13-30 handicap category, Ali Dodds from Ponteland won with 40 points. Best girl was Katie Thirwell, also from Ponteland, with 34 points.